Disclosure: ChiIL Mama is happy to partner up with Disney and Tween Stars Live to bring our readers this fabulous opportunity. They have provided tickets for our giveaway. As always, all opinions are our own. 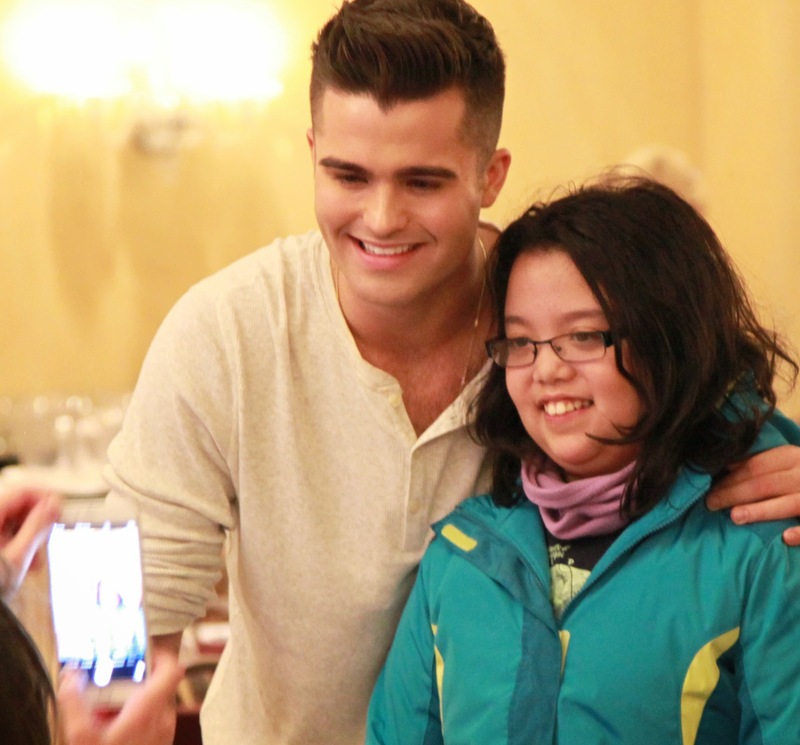 2 tickets to the Saturday, January 24 show at the Patio Theatre (6008 W Irving Park Road) in Chicago, IL at 3p.m. and 2 tickets to the VIP autograph and photo session post-show from 5p.m. – 7 p.m. The 90-minute star-studded variety show presents musical acts, improvisation and comedy sketches, Q & A sessions and trivia with fans and other fun and wacky surprises throughout the jam-packed family show. 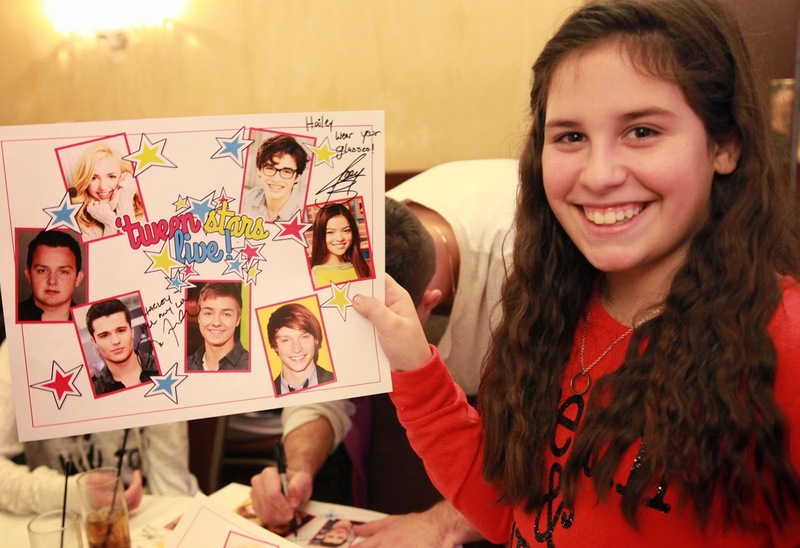 Following the show, fans have the opportunity to hang out with the popular tween stars, get an autograph and even take pictures with each of the Tween Stars Live™ actors. 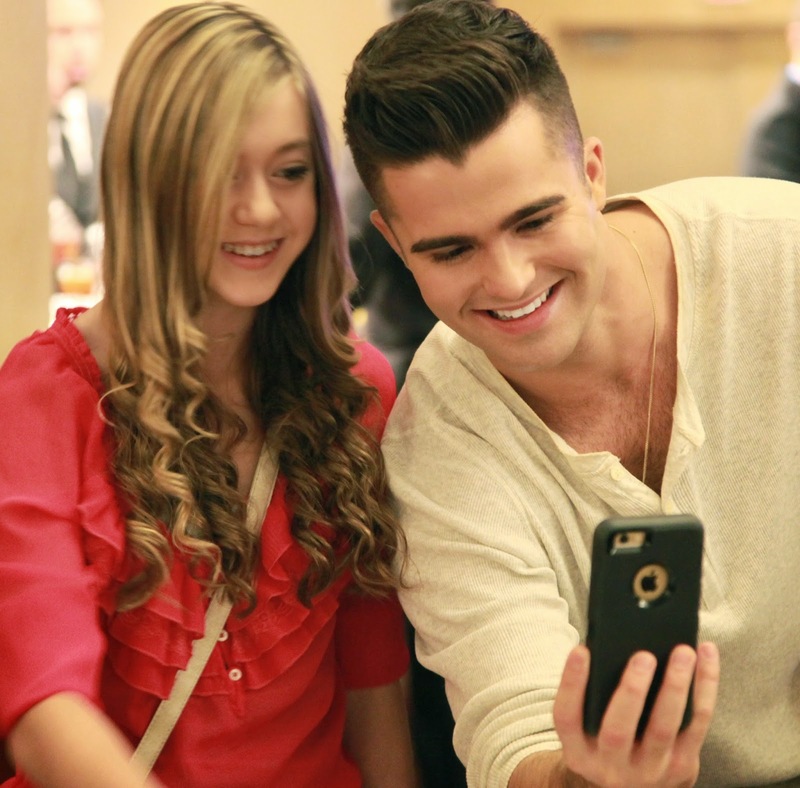 Tickets for the VIP Autograph and Photo Session are $75 and are sold separately from the Tween Stars Live™ tickets. Tween Stars Live™ merchandise will be available at the show. 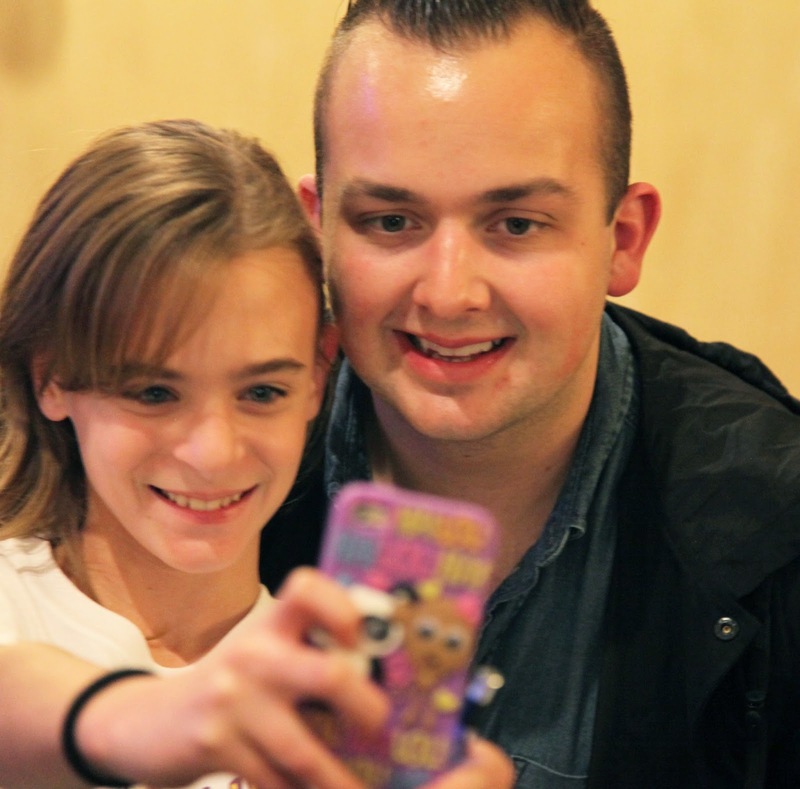 Parents do not need a VIP ticket to attend the VIP Autograph and Photograph Party. 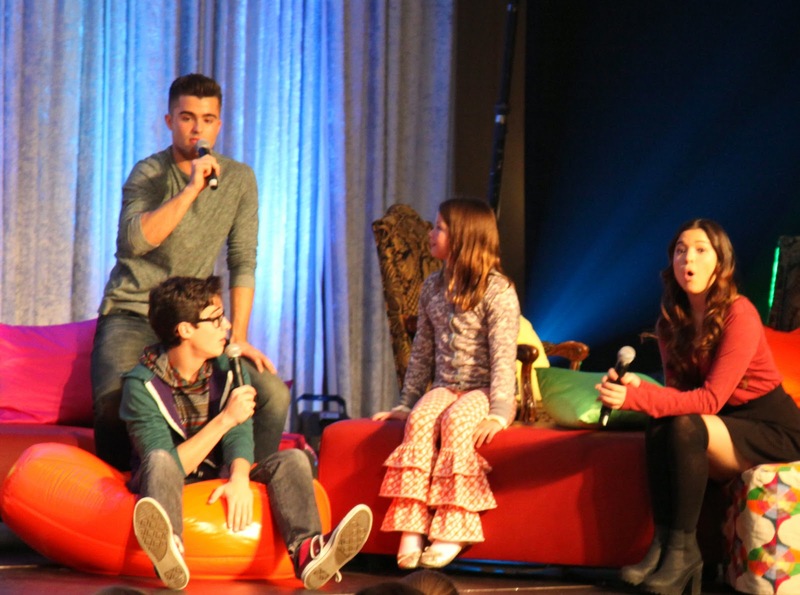 Visit www.tweenstarslive.com for further information about Tween Stars Live™. 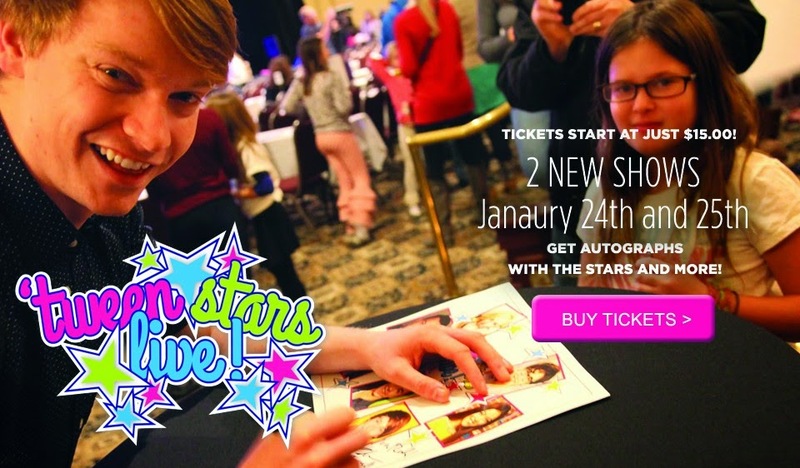 Celebrity Placement Marketing (CPM) presents Tween Stars Live™, an exciting interactive, family-friendly show starring the biggest tween actors from Disney and Nickelodeon Saturday, January 24 at 3p.m. in Chicago, IL at the Patio Theatre (6008 W Irving Park Road) and Sunday, January 25 at 12p.m. in Merrillville, IN at the Star Plaza Theatre (8001 Delaware Place, 46410). The 90-minute star-studded variety show presents musical acts, improvisation and comedy sketches, Q & A sessions and trivia with fans and other fun and wacky surprises throughout the jam-packed family show. 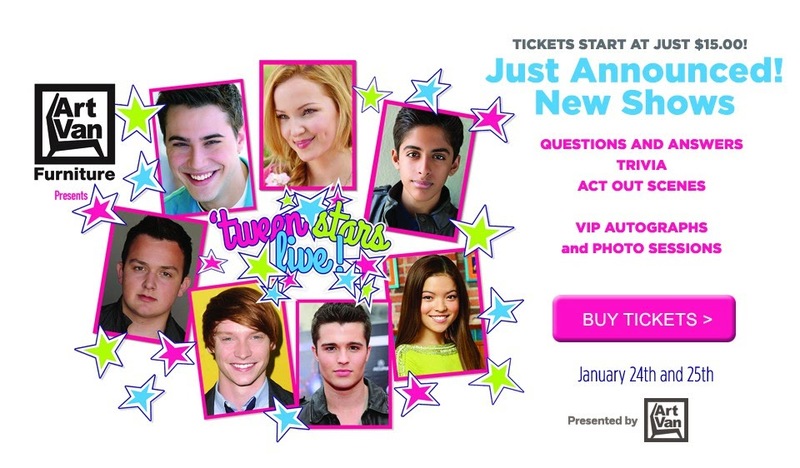 Tickets are on sale at www.tweenstarslive.com. 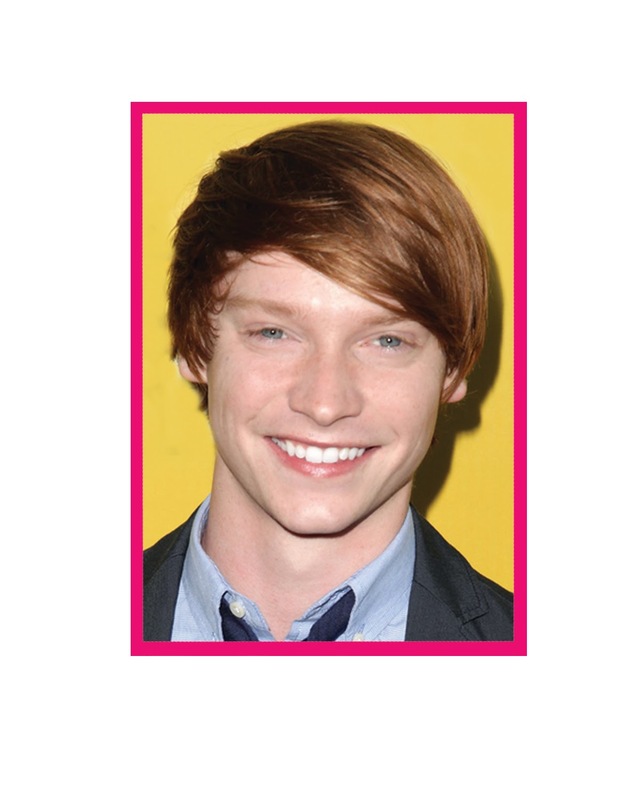 Performers appearing in Tween Stars Live™ include Dove Cameron (“Liv & Maddie”- Liv & Maddie), Calum Worthy (“Dez” - Austin & Ally), Karan Brar (“Ravi” – Jessie), Spencer Boldman (“Adam” - Lab Rats, & “Jackson”- Zapped Movie), Chicago native Piper Curda (“Jasmine” - I Didn’t Do It), Noah Munck (“Gibby” – iCarly) and Ryan McCartan (“Diggie” - Liv & Maddie). 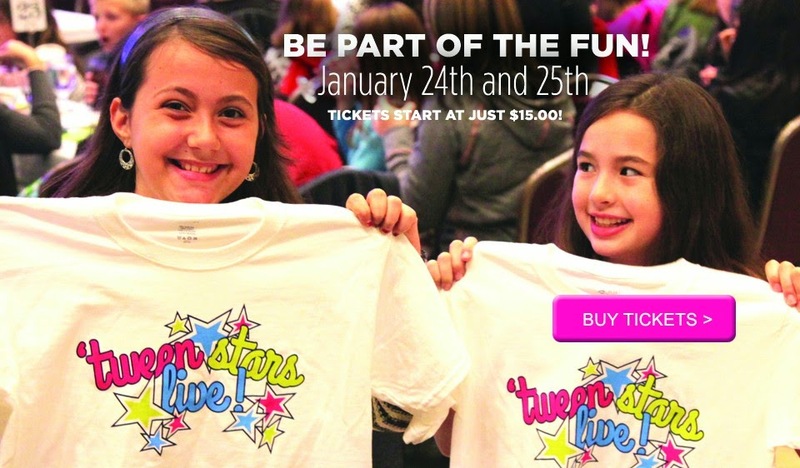 Tween Stars Live™ is scheduled for two performances on January 24 and January 25. The Saturday, January 24 show marks the ‘Official Grand Opening’ of the Patio Theatre (6008 W Irving Park Road) in Chicago, IL at 3p.m. with a post-show VIP autograph and photo session from 5p.m. – 7 p.m. Tween Stars Live™ travels to Star Plaza Theatre (8001 Delaware Place, 46410) in Merrillville, IN for a second show on Sunday, January 25 performing a 12p.m. show and a 2-4 p.m. VIP autograph and photo session. For more information regarding the Tween Stars Live™ performance at Patio Theatre in Chicago, call (248) 855-5684. For more information regarding the Tween Stars Live™ performance at Star Plaza Theatre in Merrillville, call (219) 769-6311. 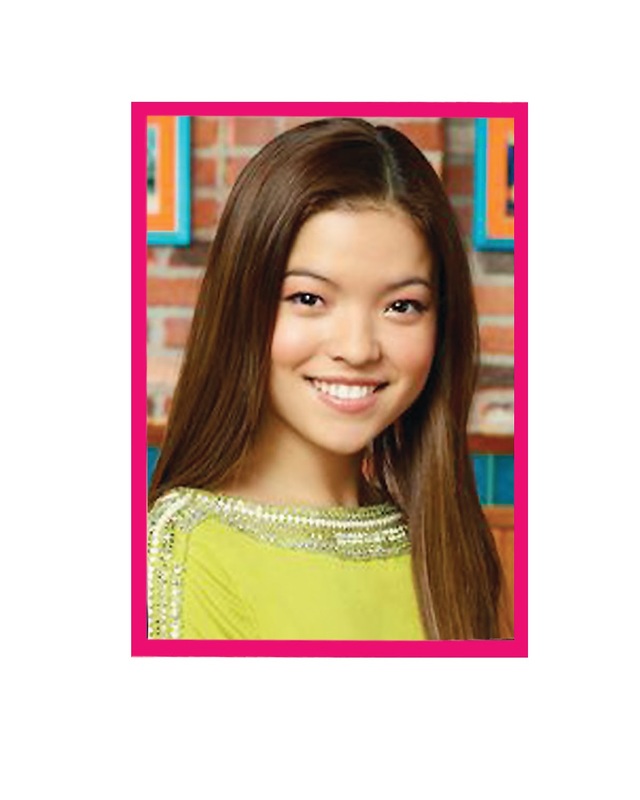 One of the Tween Stars, Piper Curda, better known as Jasmine from "I Didn't Do It" on Disney, is from Chicago, and while she is only 15, she is a true professional. Piper just finished filming on the latest “Teen Beach” movie and is excited to get out on stage with the “Tween Stars Live” show Saturday, January 24 at 3:00 p.m. in Chicago, IL at the Patio Theatre (6008 W Irving Park Road). Piper loves her fans so much that she would also like to offer the chance for a few lucky readers to win tickets to the show and a chance to meet her after! Enter right here at ChiIL Mama, early and often through midnight 1/20. This highly interactive family variety show features 90 minutes of surprise-filled pure family fun for all ages including wild and wacky entertainment and a chance to interact with favorite TV stars. The jam-packed talent show features a fun, unpredictable, in-audience Q & A session with the stars; totally tween trivia with prizes; improvisation, comedy and tween musical acts, as well as a chance to act out scenes on stage with the stars. Tween Stars Live is brought to you by CPM. With over 30 years’ experience, CPM has placed more than 10,000 celebrities across the globe for events such as promotions, endorsements and fund raisers. CPM has the hands-on experience and leverage to match the perfect celebrity to any event and work to make it a completely turn-key operation for clients. The CPM team coordinates everything, from the initial PR – such as generating social media buzz - to autograph sessions, contests and photo ops. CPM negotiates pricing, handles contracts and coordinates all logistics including travel, accommodations, interviews and more. Tween Stars Live™ is presented through the generous sponsorship of Art Van Furniture. Art Van Furniture is the Midwest's largest furniture retailer and America's largest independent furniture retailer. The company operates 94 stores throughout Michigan, Illinois, Ohio, and Indiana, including freestanding Art Van PureSleep mattress stores, Art Van Flooring stores, and Art Van Furniture franchise locations as well as a full service e-commerce website. Founded in 1959, the company is family-owned and headquartered in Warren, Michigan. Visit artvan.com for more information.